The object of MenuItem class adds a simple labeled menu item on menu. The items used in a menu must belong to the MenuItem or any of its subclass. 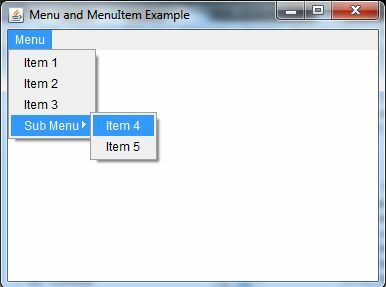 The object of Menu class is a pull down menu component which is displayed on the menu bar. It inherits the MenuItem class.